Many people are squeamish when it comes to blood, and its presence out in the open generally means that something tragic has happened. Whether it is due to a severe accident, crime, or other event, our professionals at Aftermath Services will remove it in a safe and effective manner with our blood cleanup services in Orlando, FL. If you ever encounter blood on your property, it is important that you do not attempt to clean it up by yourself. Blood and other bodily fluids are considered biohazard materials because of their ability to carry dangerous pathogens. Through our services, we will restore security to your property. Blood and bodily fluids can be extremely dangerous to those who stumble across them. They can contain pathogens with the potential to spread infections and diseases when mishandled. For this reason, local, state, and federal agencies regulate how biohazard materials must be handled and disposed of. At Aftermath Services, we abide by these regulations to ensure a safe and effective result. We utilize the proper equipment to remove biohazard materials from your property, and then dispose of them at a licensed facility that specializes in medical waste disposal. 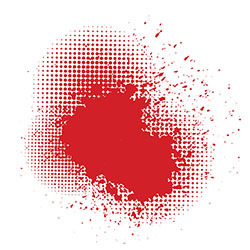 No matter the cause of the blood on your property, we will respond rapidly to remove it. We are available 24 hours a day, 7 days a week, to respond to your call in your time of need. In the event that law enforcement personnel and/or EMTs are required, we will coordinate with them to make sure important evidence is not removed or contaminated. To take advantage of our 24/7 blood cleanup services, contact our Aftermath Services representatives at (888) 696-7999. We operate in the Orlando, FL, area, and look forward to helping you through this difficult time.